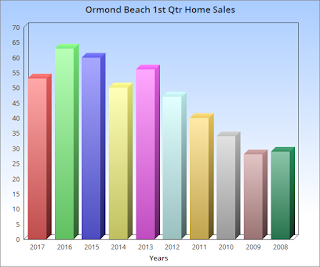 This table shows the homes sold in Ormond By The Sea Florida for the first 3 months of the year through the Daytona Beach Area Realtors@ Multiple Listing Service (MLS). The average sales price is up to the highest level since 2006. The average price per square foot has increased since last year. and the average sold home size has decreased. The number of sales is slightly lower than 2015. Home values continue to increase.For information about Ormond Beach and Ormond By The Sea Florida homes and condos for sale and for rent call Realtor® Rhonda Lehnen at 386-441-8245 or visit the Ocean View Realty Group website at www.ovrealty.com where you can also search the Daytona Beach Area Multiple Listing Service (MLS) anonymously. 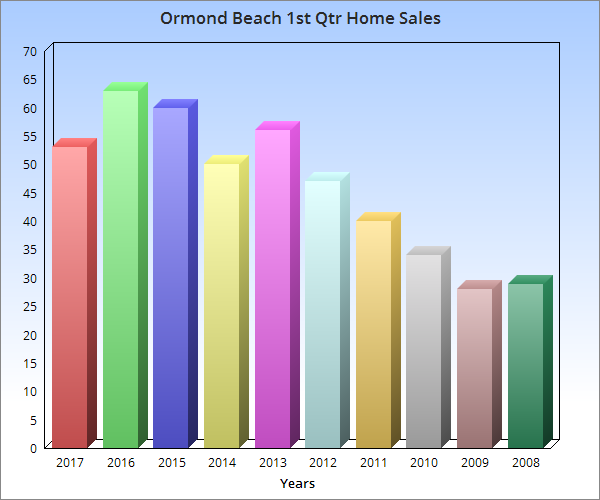 For information about Ormond Beach and Ormond By The Sea homes and condos for sale or rent, contact Ocean View Realty Group or visit our website athttp://www.ovrealty.com/.